Why do customers hate it and feel nickel and dimed? How can businesses successfully practice unbundled pricing? The work culminated in two major experimental works on understanding consumer behavior. The first work was the finding that answer to both questions lie in “reference price” and the second work found customer segmentations and how these segments value the “freebies” (or suffer from paying for them). For definition of terms see here. Recently I saw a press release from Continental airlines on their plan to discontinue free inflight meals. Surprisingly, they were the only airline to serve free in-flight meals (based on time and on select flights) until now. Their current plan follows the rules I set forth in my results. Instead of simply charging for the same old airline meals, they are introducing both premium and basic meals over a wide range of prices. Higher priced options increase customer reference price and presence of a range of options make it a choice among them rather than a referendum on just one. While your cost concerns and profit motives may drive you to flip the switch and charge for the freebies, free to fee move should not be attempted without understanding and improving customer reference price and most importantly what is relevant to the different segments. Kudos to Continental for effective execution of Unbundled pricing. Unbundling is not about nickel and diming and it does not have to be a brand killer. When done right it can be a source of incremental profit. When the lawmakers start talking about taxing (instead of banning or regulating) airline unbundled prices – we know the prices are now mainstream and here to stay. Gone are the days of customer backlash against paying for extras. There is much less resistance from customers not because they embraced the fees because they clearly see the value they get but because their reference price has budged from $0. While SouthWest continues to make its strategy “Fees don’t fly with us”, rest of the airlines brought in $769 million in baggage fees alone just in one quarter. Since the baggage infrastructure costs are sunk and the marginal cost is $0, most of these fee revenue flow directly to their profit. House Transportation Committee Chairman James Oberstar (D., Minn.) called the fees a “backdoor price increase” in airfares, with consumers now paying for many items that until three years ago were included in the price of a ticket. Passengers are paying for meals, for pillows, for blankets, for headphones, for beverages, to check the luggage. Cost is irrelevant to pricing. Yes, tax is a type of price (more precisely price is a type of tax – hence the economic term tariffs). Since practicing unbundled pricing generates value to the airlines and they depend on the existence of public infrastructure and security processes to provide these services. For instance the baggage screening and airport security processes enable the airlines to provide baggage service to its customers and charge for the service. Since they are using common resources the public (Government) must be able to get a share of this value created. So yes, unbundled pricing must be subject to taxation. I have been a proponent of unbundled pricing. I have published methods, based on consumer behavior research, to improve customer acceptance of unbundled pricing. But I am not supporting Spirit Airline’s plan to charge $45 for the carry-on bags. Not as a customer rights advocate but as a marketer who practices data driven decision making. For pricing to be truly unbundled, the feature must be truly optional and the customers must have valid alternative. In the case of baggage fees for check-in bags, customers had options. But it is inconceivable to think of anyone traveling with no bags – they either checkin bags and pay or carry-on bags in cabin and pay. Yes there is value to the customer in not checking in and instead relying on carry-on bags. 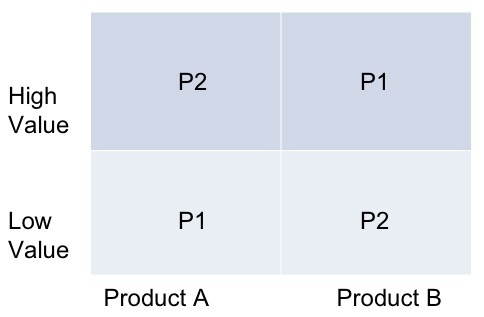 But that value component is inseparable from the main product. They justify this price as realignment of incentives to discourage customers from bringing in oversize carry-on bags to avoid checking in bags. But they could fix that by strict enforcement of carry-on size rules. Customers have the option of not bringing oversize bags but not no bags at all. Something to think about: If Spirit is monetizing carry-on bags, should TSA get its share for scanning the bags? So instead of trying to show a low ticket price plus the price for carry-on bags, Spirit will be better off with one price and stricter size enforcement. 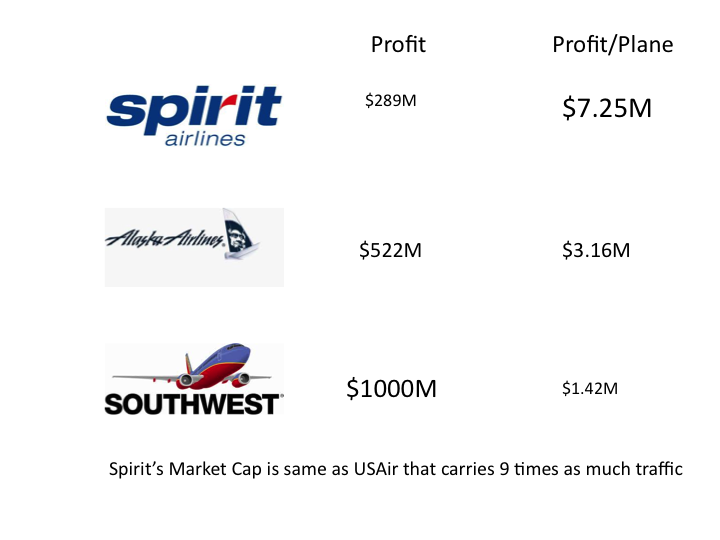 I will go out on a limb and predict other airlines will not follow Spirit.